How Much Does a Private Pilot License Cost? 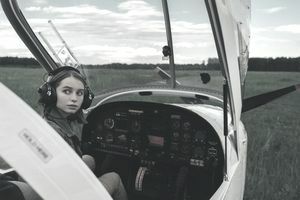 The cost of flight training varies widely, but you should be able to get a private pilot license for around $10,000, depending on the location, type of airplane used, type of flight school, instructor experience, and the pace at which you are able to learn. To better understand costs and perhaps help limit them, break them down by individual variables involved in flight training. Flight schools usually charge by the hour, with a portion of the charge going toward an hourly aircraft rental rate and the rest toward an hourly instruction rate. The combined total is the bill you pay. Most flight schools expect payment directly after a flight, but some allow you to prepay for a set amount of time at a discounted rate; some flight schools also allow you to set up a payment plan. Airplane rental fees vary depending on the flight school you attend, the age of the airplane you'll be flying, and whether it is a wet rate or a dry rate. A wet rate includes the cost of fuel and oil, while a dry rate does not. As of 2018, All American Aviation Services in North Carolina charges wet rates ranging from $109 per hour to $169.99 per hour, depending on the aircraft. St. Charles Flying Service in Missouri charges a wet rate of $114 per hour for its least expensive airplane. These rates are about par for the course, but check flight schools in your local area, and plan on paying at least about $110 per hour for an airplane fueled and ready to go. Total flight time is calculated by using either Hobbs time or the Tach time, which calculates the time the engine runs; with that approach, you pay only for the time spent with the engine running and nothing extra. Instructors' hourly fees vary from flight school to flight school. Instructors at Alliance Flight Training, with multiple locations in Colorado and Oregon, charges $45 per hour as of 2018. This figure is in the ballpark for what you should expect to pay, but again, check flight schools in your local area. For any given flight, total instructional hours might differ from the total flight time charged. Some flight instructors include a charge for briefing and debriefing time, which means the flight instruction charge might be 1.5 hours while the flight might only be 1 hour. Supplies and testing fees likely will add up to another $1,000 or more. You'll need supplies, such as an aviation headset, which should cost about $100 but can be much more expensive if you want the best and latest model. Set aside another $100 to $200 for books and manuals, and testing fees will cost more than $500. Schools also charge for insurance and medical coverage. People applying for a private pilot certificate are required to log a minimum of 40 hours of flight time. Some of those hours will be with an instructor, and some will be solo flights. Forty hours is the very minimum required, and while some students complete their certificate in 40 or slightly more than 40 hours, the average time to complete a private pilot certificate is closer to 60 hours of flight time. Weather delays, instructor availability, aircraft availability, the frequency of training flights, and a variety of other factors can mean more hours are necessary to become proficient. Students who fly every day will progress through training quickly, while students who fly once a week or once a month might spend much of their time reviewing material, requiring more time to finish their training. If you determine the hourly costs associated with aircraft rental and the flight instructor fee, you then can calculate how much you need to budget for your flight training. If you figure $110 per hour for the airplane rental and $45 per hour for flight instruction and multiply that $155 by 40 hours, that means you'll pay at least $6,200 for flight time and instruction. Add about $1,000 for other supplies and fees, and your minimum cost should be about $7,200. But, since you can expect it to take you more than 40 hours to complete your training, you should be prepared to pay an additional $3,100 for an extra 20 hours of flight time and instruction if it is necessary. This would bring your total to $10,300. While they can’t control aircraft rental rates or fuel surcharges, students can do some things to keep flight training costs to a minimum. First, you’ll want to make sure you and your instructor are following a syllabus and training plan that make sense for your personal goals and time frame. A training plan uses time efficiently by helping both people know what to expect and how the student is progressing. Spending time studying on your own will help you to progress faster, meaning less time and money will need to be spent on ground instruction. Flight instructors must make sure students are prepared with the knowledge required to pass the FAA practical exam or check ride, and the more time you spend learning on the flight instructor’s clock, the more you'll pay. There’s no need to have an instructor walk you through a written exam test prep to go over every small detail in the private pilot manual if you can learn it on your own. Take the written exam before you begin flying. Learning everything you need to know on the ground will ensure you are making the best use of your time in the air. Students with limited book knowledge will spend more time and money on the airplane with an instructor explaining every small detail. If you’re already aware of these small, often procedural details, you and your instructor can quickly move on to practicing other things. Don’t take too many breaks in your training. Long pauses in training will lead to more time relearning things you once knew. A long pause also might mean you’ll be paired with a new instructor who doesn’t necessarily know where you left off. Where Is the Center of Gravity Mass of an Airplane Located?